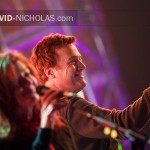 Last Sunday evening, March 6th, marked the “grand finale” evening of a 5-week concert tour, where Amy Grant and Michael W. Smith joined talents to once again bring old and new fans their brand of contemporary Christian/Gospel music under one roof. 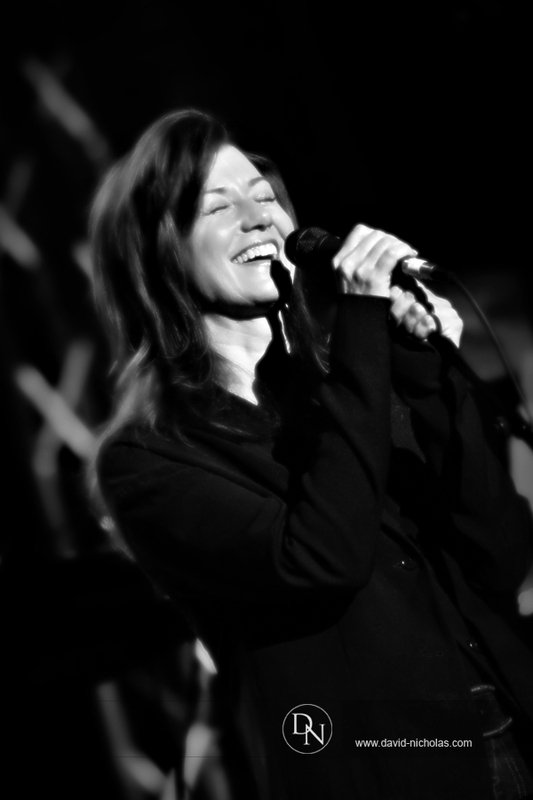 Having already seen the NYC show just one week earlier, I had the wonderful opportunity to rejoin the tour in Lancaster, PA. And there was an unmistakable “last-show-of-the-season” electricity in the air — starting with the afternoon’s sound-check all the way through to the last of the show’s two encore performances. 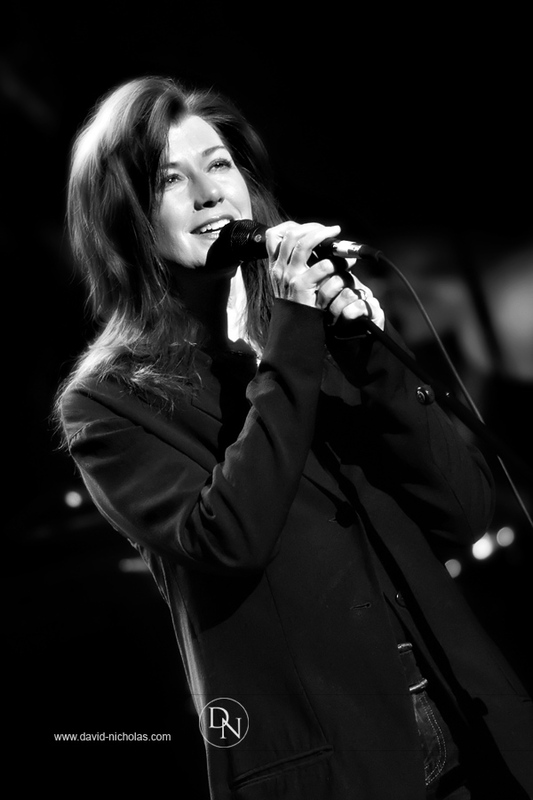 Although the name of the tour, “2 Friends”, was intended as a tagline of sorts for the tour’s headlining recording artists, it was abundantly evident that their band-members and road-crew on the tour formed an even larger group of “friends” that helped make each evening’s show a stunning success. As the tour wound down Sunday, band members could be seen capturing many wonderfully candid moments of the day on stage with their iPhones, and I’ve endeavored to capture some of that interaction here. Additionally, the second set of images is presented as a 5-minute HD music video WebShow — featuring a sampling of concert images captured throughout the evening’s performance. And yes, let me just chime in with my vote here that Amy’s leopard print jacket (i.e., think 1985′s “Unguarded” CD) and Michael’s argyle sweater never looked better on them!!! Website visitors are reminded that a high-speed, broadband Internet connection is required for an optimum viewing experience of our HD music video WebShows. Enjoy!!! For fans who may have attended one of the 2 Friends shows, I hope these images help you re-live the truly amazing energy of these special evenings for a very long time. 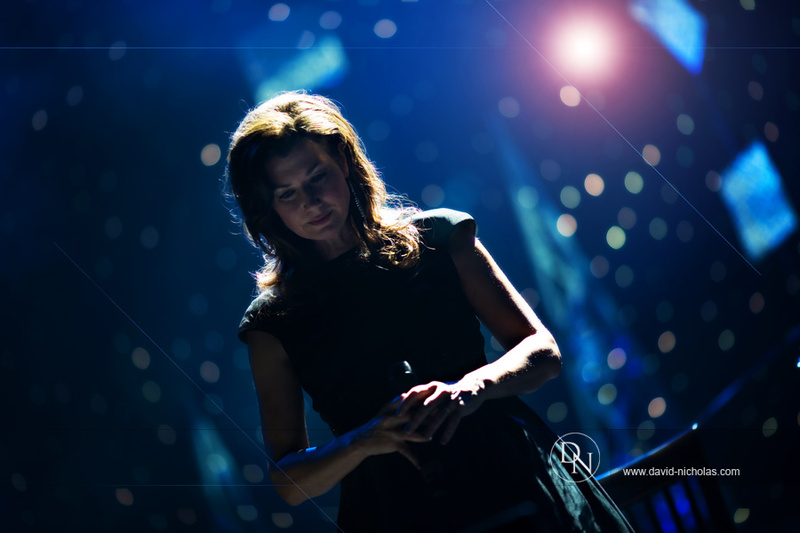 What Amy Grant and Michael W. Smith have accomplished over a span of 30+ years — whether individually or collectively — has resulted in an incredible gift of music for us all. And the 2 Friends Tour undoubtedly tapped into a wealth of emotion among the performers on stage as well as their loyal fans. The electricity on-stage and in the audience was powerful and undeniable, and it was exciting to have captured these special moments for the artists and fans alike. Time often has an uncanny ability to transport us back to a sense of the familiar, and that can be a very welcome feeling that balances our need to explore new experiences along the road of life’s journey. 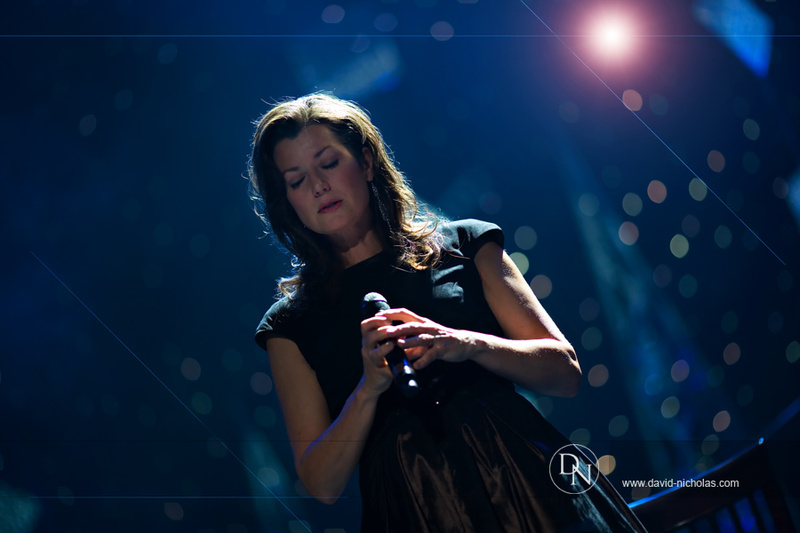 On Sunday, I got the distinct impression that Amy and Michael sincerely enjoyed reaching back into their legacy of contemporary Christian/Gospel music they’ve created over the years. But even more importantly, I also got the feeling that we’ll see much more from these talented artists as the next chapter of life’s journey unfolds for them… and their fans of all ages. It should be quite a ride! For those fans who may have missed the “early 2011″ schedule of 2 Friends concert dates, stay tuned to the artists’ websites for future tour information. At the time of this blog posting, a couple of individual 2 Friends concert dates have been announced for late Summer. 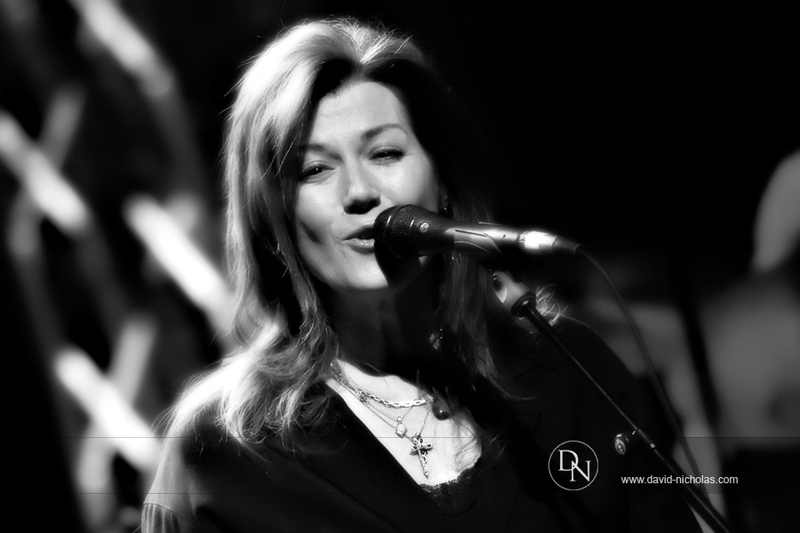 And there’s been a hint of a possible Autumn 2011 tour schedule in the works — which would make many loyal fans immensely happy! Time has a way of putting life experiences in perspective. 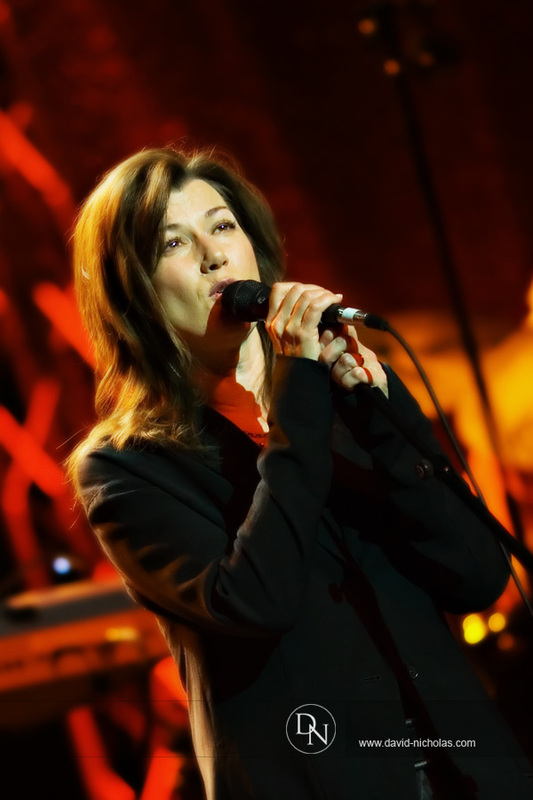 And a lot of time has passed since contemporary Christian/Gospel recording artists Amy Grant and Michael W. Smith toured together in the late 1980′s. 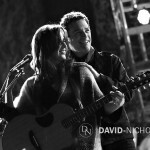 But one summer concert in August 2010 re-kindled the idea that perhaps these two friends could find time in their 2011 schedules to hit the road again together… and so the concept of “The 2 Friends Tour” was born. 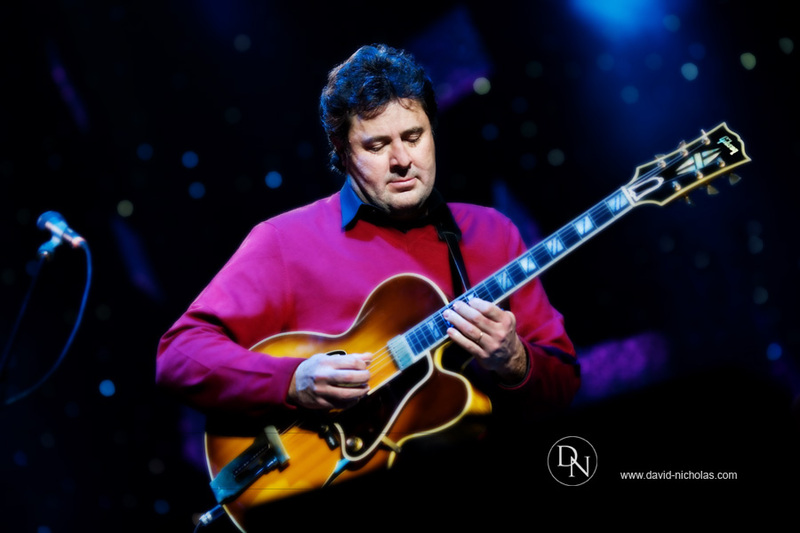 I had the opportunity to catch up with the tour this past Saturday evening at New York City’s Beacon Theatre. And the show was — in a word — fabulous! Whether you’ve been a dedicated fan of either artist (or both!) 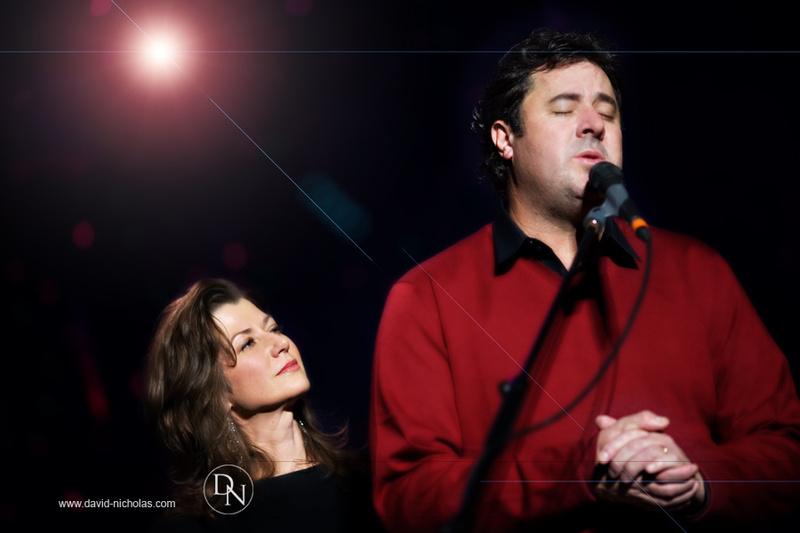 over the years, or whether you’re simply a casual listener of contemporary Christian music nowadays, the music of Amy and Michael in this show is sure to please. 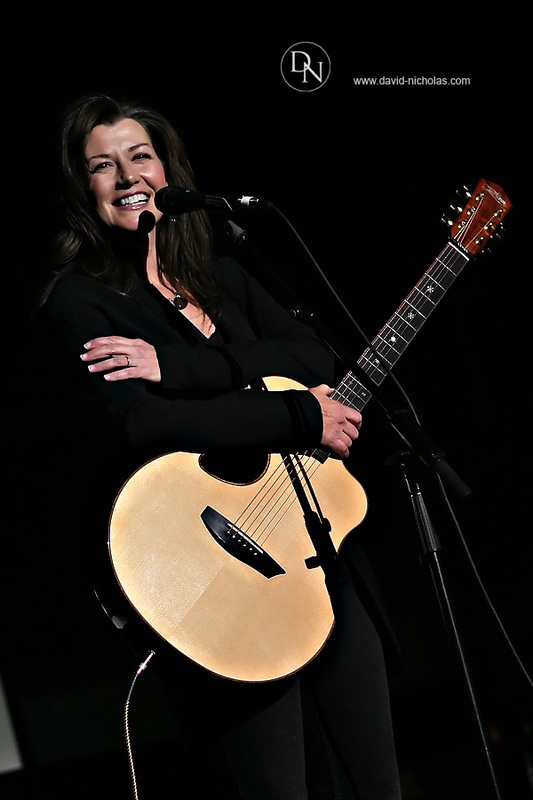 Saturday evening’s 3-hour show (including a short 15-minute intermission) was a splendid blend of both artists’ music dating back to their former touring days in the 1980′s coupled with highlights of newer material performed in recent years. Amy’s solos with her band were featured during the first half of the show, while Michael’s solos with his band were featured after intermission. Duets were featured throughout the show, and some of my favorites included “Emmanuel”, “Lead Me On”, and “Somewhere, Somehow” — not to mention the two encores: a calmer “Friends”, preceded by a rock-the-house version of “Love of Another Kind”. I was able to arrive into the city early enough in the afternoon to join Amy’s sound-check, and I’ve included a few photo highlights from the sound-check including a brief surprise visit by Michael during Amy’s warm-up. Understandably, lighting levels on stage during the sound-check were comfortably dim for the performers and consisted primarily of overhead rear stage lights — no spots or heavy front lighting until the real show. So our Lightbox Gallery below contains 10 sound-check images rendered in Black-and-White tones. Enjoy! As a special treat for Amy’s Friends-of-Amy fan club and Michael’s Friends Online viewers, we’ve included 120 images of Saturday evening’s concert as a slideshow of still images set to music. A high-speed, broadband Internet connection is required to view this WebShow. Enjoy!!! The 2 Friends Tour completes its Winter 2011 schedule of cities with a “5-cities-in-6-days” run through South Bend, IN (March 1); Pittsburgh, PA (March 3); Rochester, NY (March 4); Boston, MA (March 5); and Lancaster, PA (March 6). If you have the chance to work this show into your busy schedule, you’ll most assuredly be treating yourself to an evening’s entertainment that will feed your spirit. Everyday commitments and life’s challenges keep us hectically busy WAY too often. So let the music and lyrics of these two super-talented recording artists and song-writers fill your heart with reasons to smile with hope. 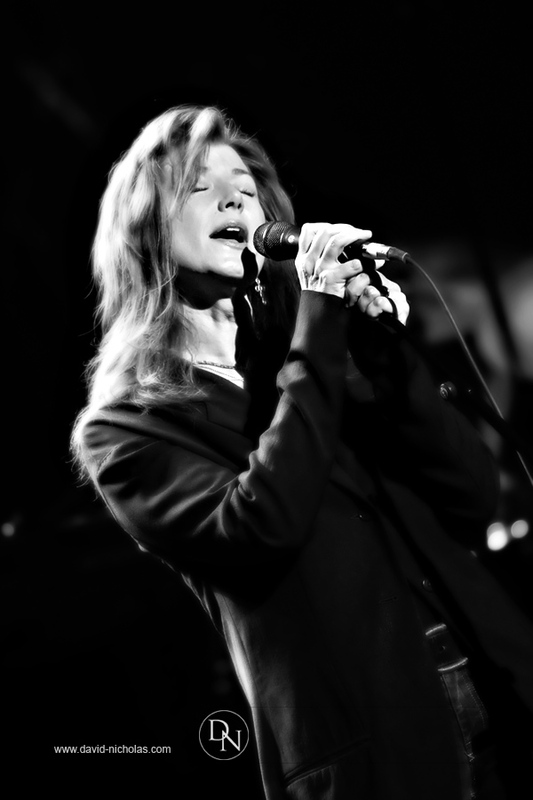 Their “live music” is a treat in itself, and the underlying messages in the lyrics will keep you going for a lifetime! Wonderfully inspiring evenings like these don’t come along often enough. But it’s great to see the gift of time has given these “two friends” a chance to inspire their listening audience together on stage once again. In an era where overnight success stories are sometimes made to appear all-too-easily-achieved by today’s media-driven music machine, it’s great to see a talented quartet (Phillip Sweet, Karen Fairchild, Kimberly Schlapman, and Jimi Westbrook in the gallery cover image above) finally achieve their well-deserved accolades after several years of great music and song-writing. This year Little Big Town has been nominated for 2 American Country Awards: Single of the Year by a Duo or Group, and Music Video of the Year by a Duo or Group. Both award nominations are for the band’s single, Little White Church (recently peaking at #6 on Country charts), released earlier this year before The Reason Why album debuted in August. The LP’s second single, Kiss Goodbye, is now available for radio requests, and its music video is due out in mid-November. Little Big Town vocals and musicians were in top form throughout the entire concert, which included a great blend of notable LBT songs dating back to 2002. I personally enjoyed listening to the “concert versions” of the group’s newest material from The Reason Why album. 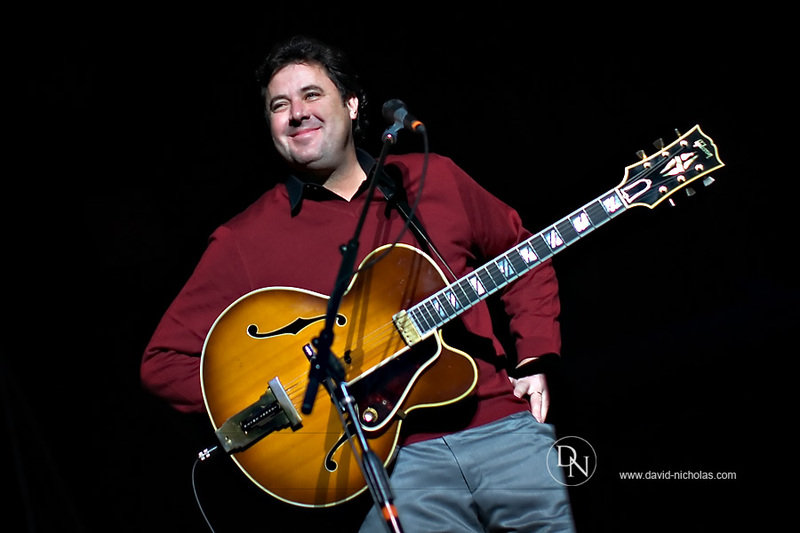 Whether you prefer the hard-driving, blues influence in tunes like “Runaway Train” or slower-paced ballads like “Kiss Goodbye”, The Reason Why contains a broad range of songs featuring top-notch LBT harmonies that have become a trademark of the group. Admittedly, the band seemed equally at home Thursday night alternating lead vocal performances among LBT classics such as “Fine Line”, “Little More You”, “Good As Gone”, and “I’m With the Band”. Overall, a very fine evening spent with a band whose music continues to get better and better as their songs tackle a myriad of issues encountered along life’s journey. 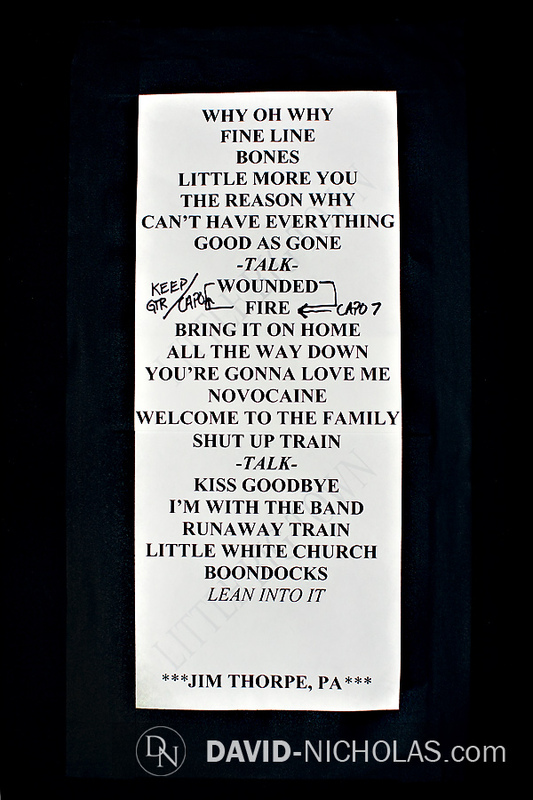 Thursday’s on-stage set list (see below) contains the complete list of songs featured at the Penn’s Peak / Jim Thorpe, PA show — including an encore performance of “Lean Into It”, another terrific track (from The Reason Why album) reminding us that life’s unexpected challenges are often best handled by traveling through them rather than around them. Ironically, it’s a perspective you’d expect from a band that’s navigated their share of bumps and turns in the road for over 10 years together and still going strong. Not exactly an overnight success story by modern-media standards… but time is definitely making the LBT story an even better — dare we say more real — one in its own right nonetheless. LBT certainly appears to have hit their stride nowadays. And based on the appreciative response of an estimated 1,200+ fans at Penn’s Peak Thursday night, it’s very much apparent that a return trip by Little Big Town to the greater Philadelphia area would be a welcomed event in the not-too-distant future. After the Jim Thorpe show, LBT takes a short concert break for the weekend and an appearance at the November 10th CMA Awards in Nashville, before heading out to the Pacific Northwest and Rockies for the last leg of the tour in 2010. 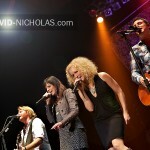 For more information about Little Big Town and their music, visit the group’s website located at www.littlebigtown.com. 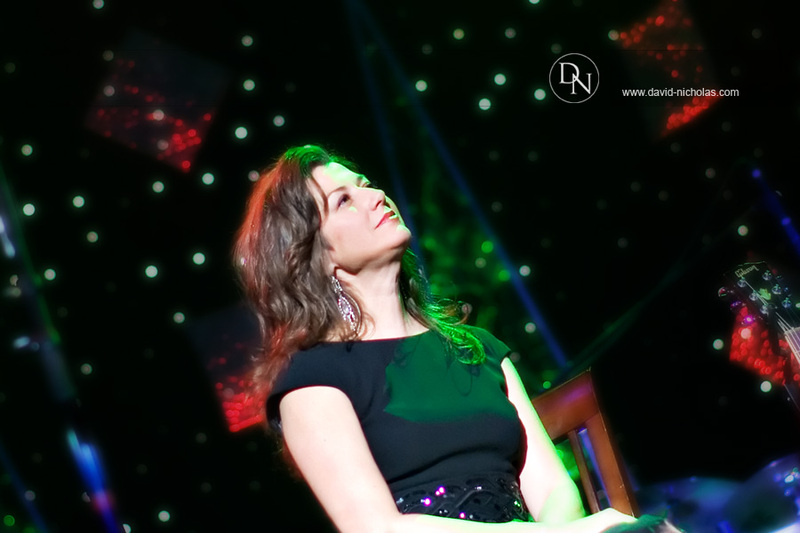 It’s Definitely Christmastime… Amy Grant & Vince Gill Style! 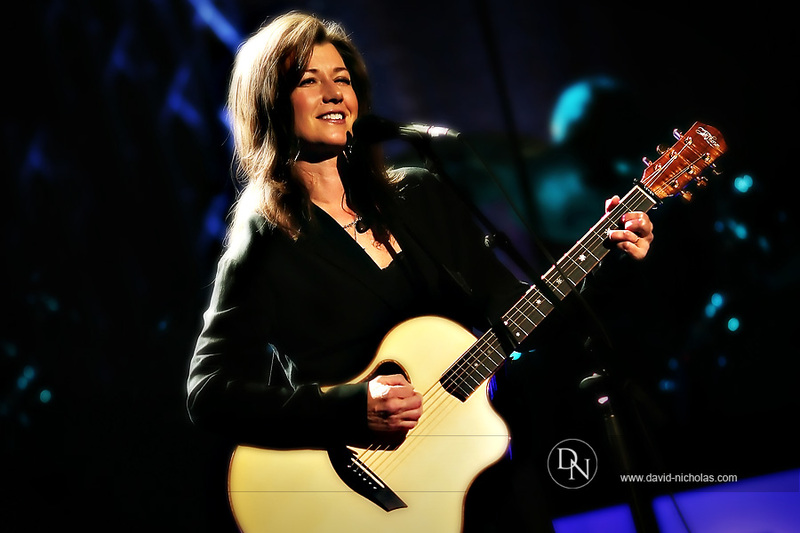 Yes, if you have the chance to attend this year’s Christmas with Amy Grant and Vince Gill concert, then take the kids — even take Mom and Dad, or Grandma and Grandpa as the case may be — ’cause the whole family will be in for a real holiday music treat. I had the opportunity to catch up with the Christmas Tour in Baltimore last night (Wednesday), and the two-hour show consisted of truly top-notch vocal performances by both artists. 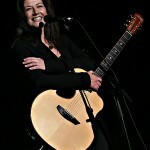 Although the set list may vary somewhat from city to city, Amy Grant fans are likely to hear Amy feature her new song, “I Need A Silent Night” from her latest Christmas CD “Amy Grant: The Christmas Collection”, as well as magnificent performances of “Breath of Heaven (Mary’s Song)” and “Heirlooms”. 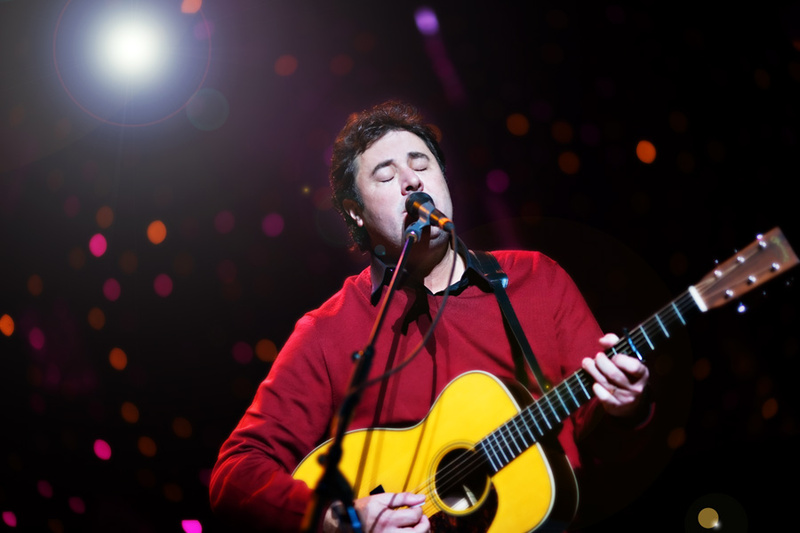 For Vince Gill fans, Vince’s signature version of “O Holy Night” is likely to bring the entire audience to a standing ovation — as it did in Baltimore. 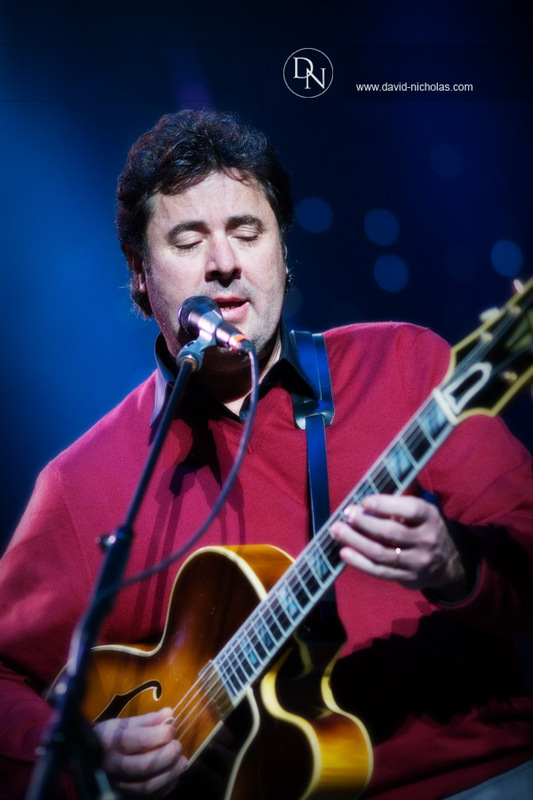 And Vince’s performance of a song he wrote about his brother’s passing, “It Won’t Be the Same This Christmas“, is sure to tug at your emotions, as it’s a perfect example of how music and lyrics can often touch our hearts intensely when we let them. Together, Amy and Vince performed an outstandingly sultry version of “Baby, It’s Christmas” during the main show and then switched to a more spiritual-styled duet with “Give Me Jesus“, one of 4 encore numbers Wednesday evening. There’s also a wonderful blend of familiar Christmas songs throughout the show that are sure to please the entire family. Unlike prior Christmas shows that included a near-complete orchestra on stage, this year’s show takes a more “casual” approach to the music accompaniment. But less can, indeed, be more. And this ensemble of top-notch musicians, including a fabulous horn section, proves exactly that. 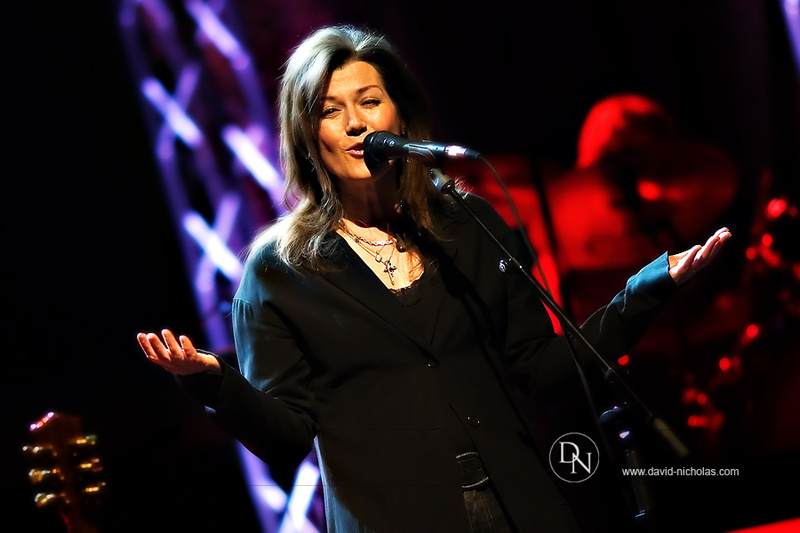 In addition, Kim Keyes along with Vince’s daughter, Jenny Gill, provided solid background vocals throughout the evening. 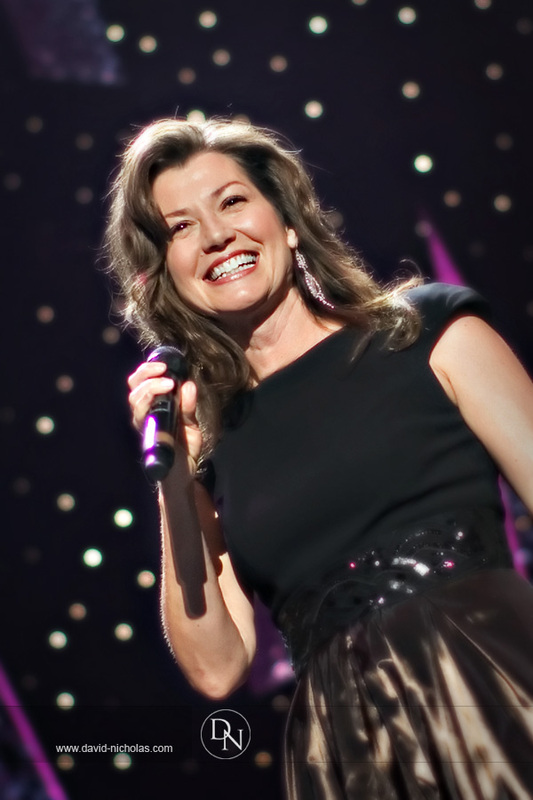 Much like Amy’s “Time Again” concerts in Fort Worth, Texas in April 2006 that celebrated her 25 years of concert performances, this year’s Christmas concert attempts to create the warmth and casual ambience of being invited into the artists’ home rather than a formal concert venue. And it works!!! 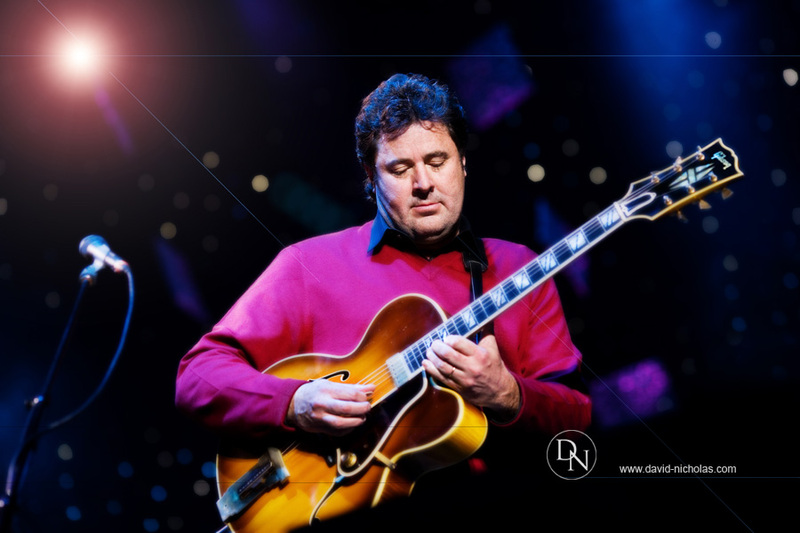 Followed by a few images of Vince working his magic on guitar. It goes without saying that just about anytime Vince picks up a guitar, you’re in for some fabulous guitar sounds. 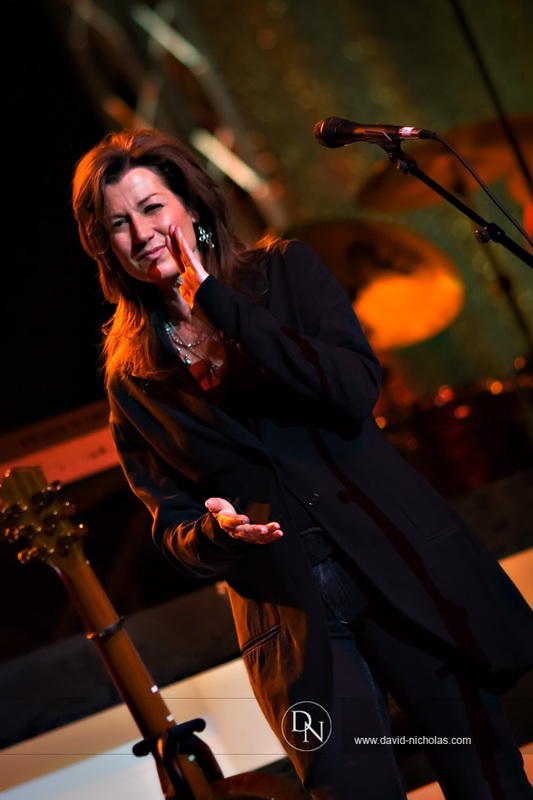 Christmas with Amy Grant and Vince Gill completes a run through the Northeast and Mid-Atlantic this week, then heads South and to the Midwest next week before concluding in Nashville with two shows Dec 22-23. 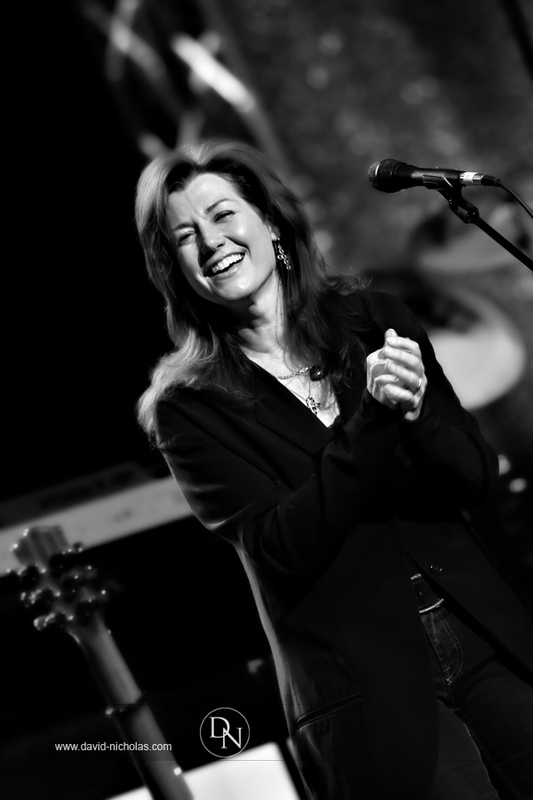 The tour’s complete schedule can be seen at www.amygrant.com and www.vincegill.com. Enjoy!!! It’s not everyday that we’re presented with a special chance to walk down memory lane. 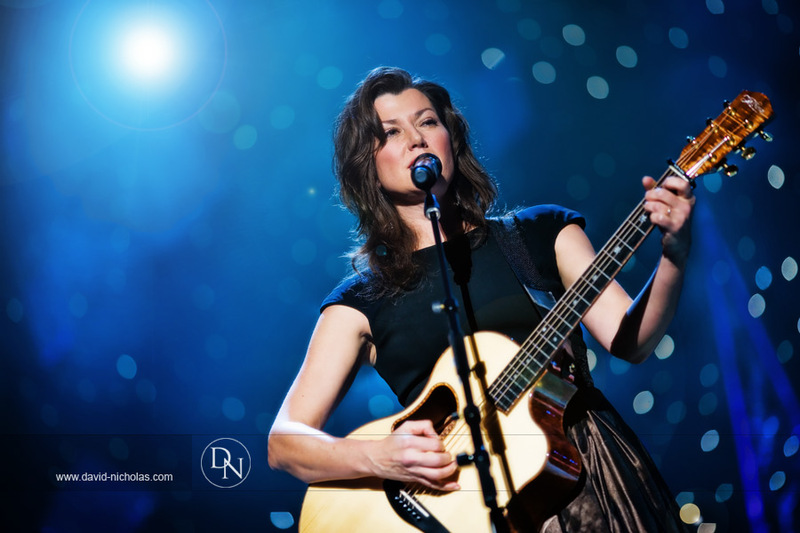 But this past weekend, local Amy Grant fans had a unique opportunity to relive memories from 1988 with Amy’s music – live! For those who’ve followed Amy’s musical career, it’s hard to believe 20 years have elapsed since the release of her Lead Me On CD in 1988 along with the tour by the same name. I had the opportunity to attend the afternoon soundcheck and evening concert on Friday, November 21st at the Community Theatre in Morristown, NJ. And the event was terrific… awesome… superb!!! The venue seats just under 1,300 people, so it’s a relatively intimate setting for a concert — not too small, yet not so large that you’re dealing with crowds and traffic jams. 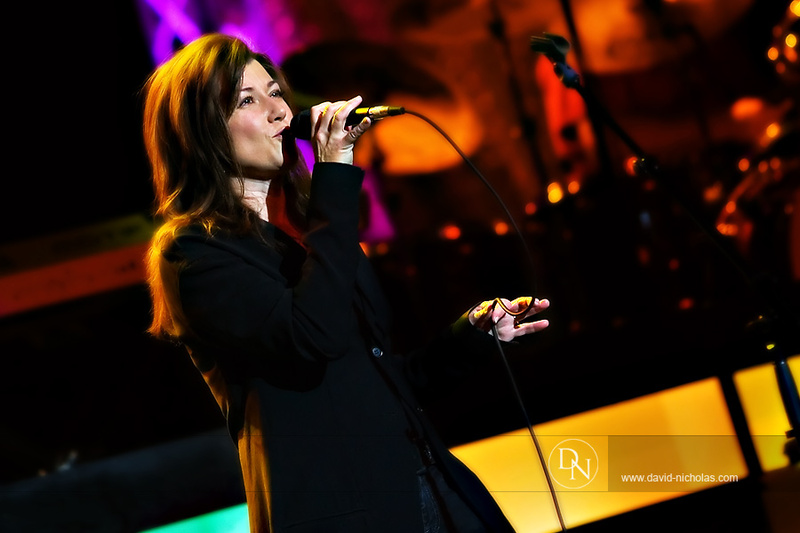 Amy re-united her band ensemble from the original Lead Me On tour for this 20th Anniversary Tour, and the years have been VERY kind to both Amy and the very talented band members. Together, they sounded awesome — and the music did, in fact, magically transport you back 20 years if you let it. 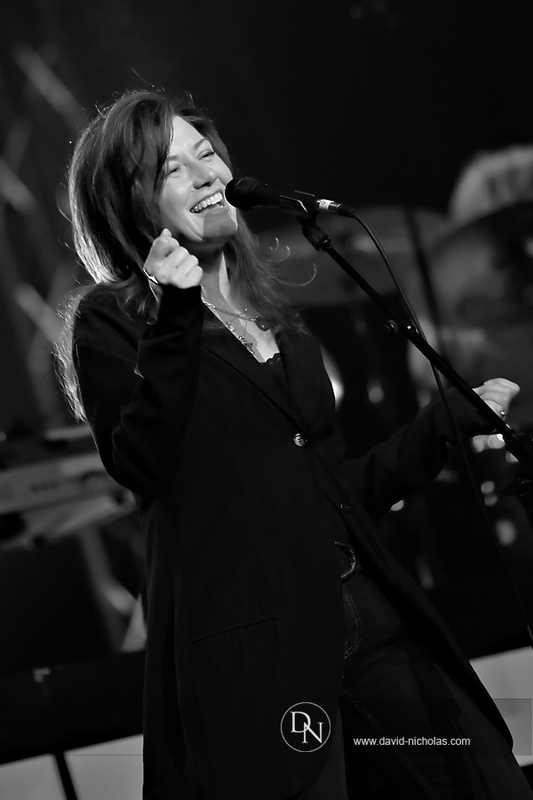 Perhaps part of the magic came from the fact that the show’s set list didn’t comprise the normal fare of Amy’s pop hits like “Baby, Baby” and “Lucky One”… but rather it included songs representing an earlier era of Amy’s career — songs which she hasn’t typically performed “live” in concert since the 1980′s, including “Lead Me On”, “Angels Watching Over Me”, “Love of Another Kind”, and one of my favorites, “Say Once More”. The show also featured a segment previewing some new songs that Amy plans to record in the studio during early 2009. Brilliant pieces!!! Amy looked stunning on stage, and for those of you who were there, the following 15 images will hopefully conjure up memories of a wonderful evening. 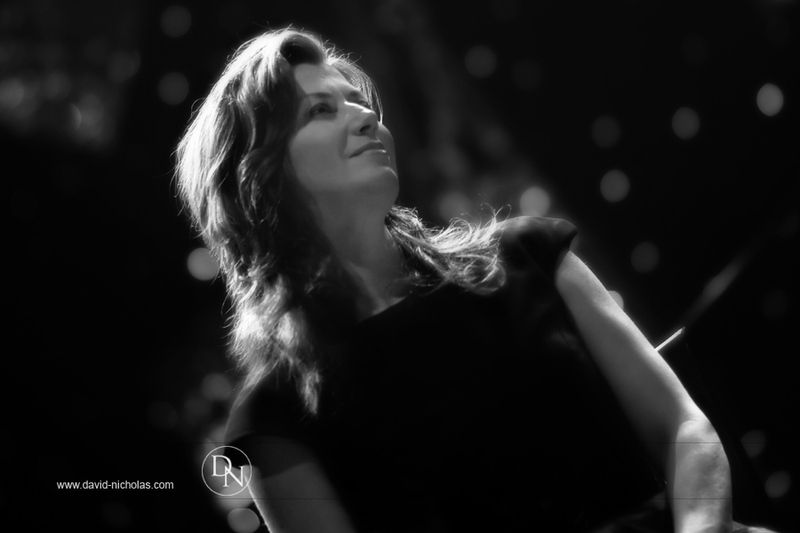 For those of you who missed the three shows in our “local” area this past weekend, I hope these images do justice in conveying the many faces of an artist who has very much developed into a seasoned professional at home with herself and her music — while successfully entertaining her fans with a wonderful walk down memory lane with this series of concerts. Enjoy!! !